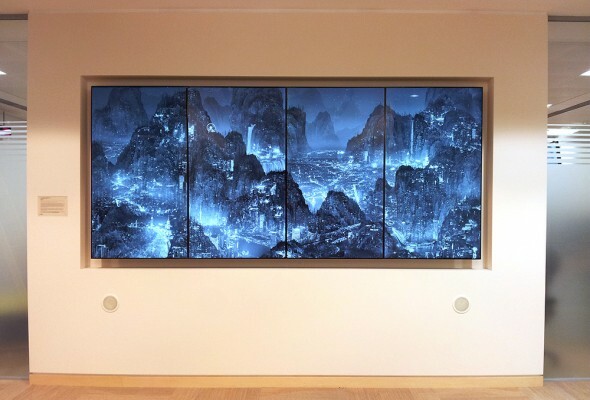 ADi AV recently installed a beautiful multiscreen art work by Chinese artist, Yang Yongliang for a leading Finance Corporation. Infinite Landscape is a four screen audio visual experience with delicately changing visuals and an intriguingly subtle soundtrack. For this piece we specified the latest generation of TV screen incorporating stunning clarity, in built media players and an aesthetically favourable ultra-slim bezel.